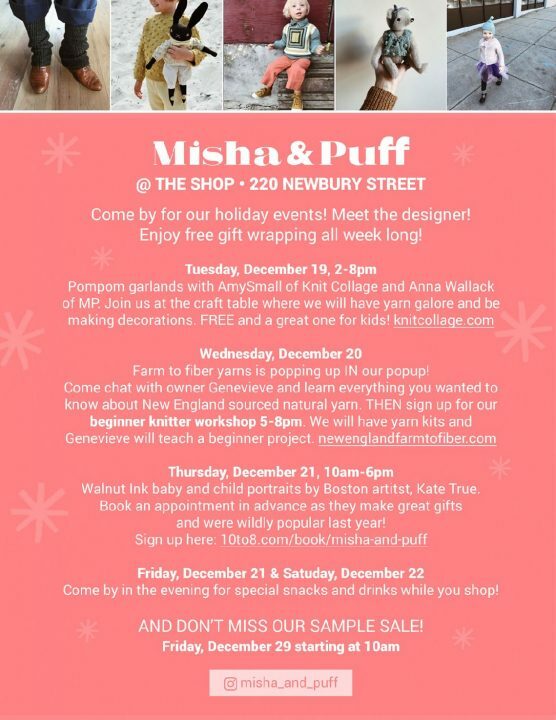 Misha & Puff are back at The Shop for a second year and we’re so happy they’re back! They’ll be here for 2 weeks and will be offering up some exclusive product and an awesome event line up! 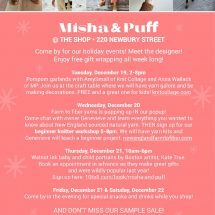 Check out their event schedule below and be sure to “pop” by during the holiday season to 220 Newbury Street! !